Doreme offers this stylish and comfortable night suit for girls. The set includes a full sleeves, Party print top and soft elastic waist allover starts printed lounge pant which makes it an attractive night wear. Round neck adds elegance of style to it. 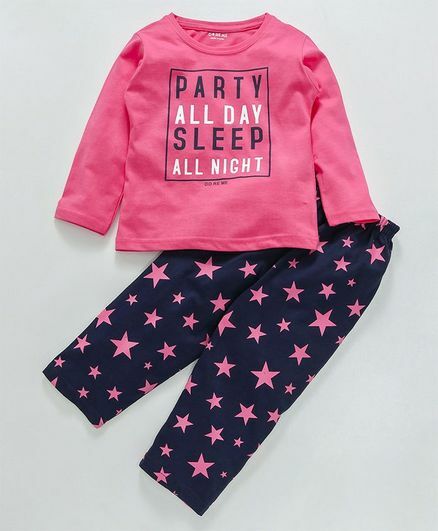 Made from soft fabric, this night suit will ensure maximum comfort to your little girl. "Good quality and worth purchasing"
It’s a good quality night suit for toddlers. Material is soft, color and pattern looks good. And reasonable too.